NOTE: This craft is a challenge to fly and operate due to the asymmetric nature of the design. Not recommended for inexperienced KSP players. 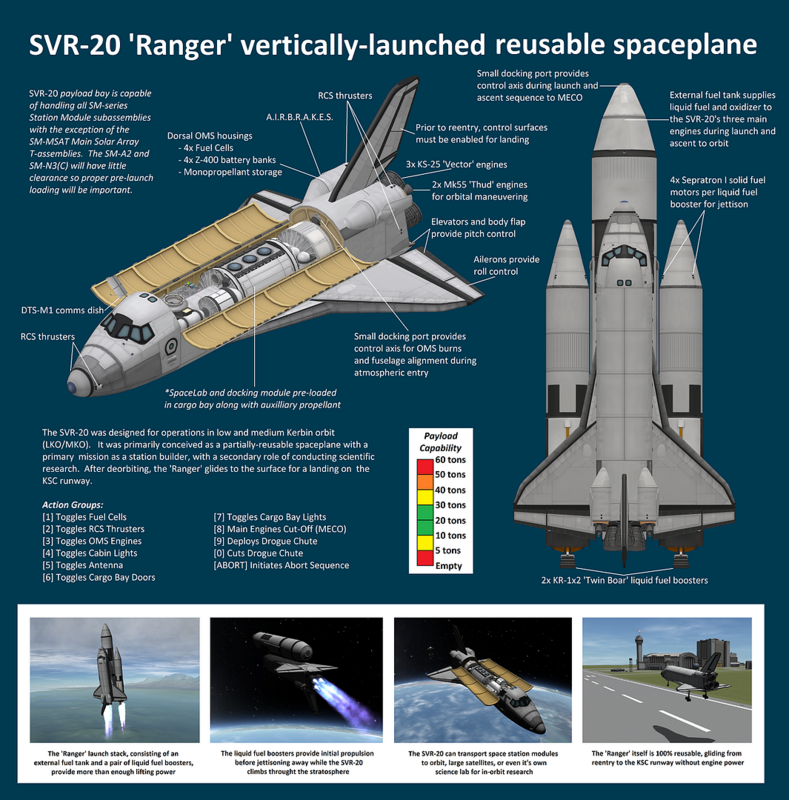 The SVR-20 was designed for operations in low and medium Kerbin orbit (LKO/MKO). It was primarily conceived as a partially reusable spaceplane with a primary mission as a station builder, with a secondary role of conducting scientifc research. After deorbiting, the ‘Ranger’ glides to the surface for a landing on the KSC runway.